Ahhh, the May Long Weekend has come and gone. I spent it indoors mostly because I’m still not my 100% and still recovering from my health ordeal. For as far back as I can remember, the May 2-4 (Victoria Day) weekend IS the start of summer or at least it might as well be. Canadians are tired of winter and tired of the indoors. It’s time to enjoy sunny, hot days! Often, the May long weekend is left for tedious household tasks. This year instead of prepping the gardens, opening up the cottage or doing your annual spring cleaning, try doing something new and start the summer off right! Have your kids turn off the T.V., shut off your computer and head outside to enjoy your natural surroundings. Wow, what a concept! To actually get outside and enjoy it?! I chuckle under my breath because I remember when my daughter was 10 years old and I had to punish her for something she did … her punishment was to go outside and play. Can you imagine my dismay when my daughter started crying and begging me to stay indoors! Had it been me, at her age, you wouldn’t even find me indoors. Hardly ever. Readers Digest has put together an amazing list of the best hiking in Canada. While many of these trails are better suited to adults, Canada is also home to some amazing family friendly hiking spots. The Gold Creek Falls trail in Vancouver, B.C. or Webster Falls trail in Hamilton, ON, are both great examples of outdoor trails that you can tackle with your kids. Be sure to pack a lot of snacks, bottles of water and sunscreen to keep everyone happy and energized throughout the day. You might consider a scavenger hunt; of sorts, or even take along a bird book and try to find a few interesting ones. If you are not comfortable with the winding car rides that often occur when escaping the city, I suggest throwing some Gravol™ in your bag. 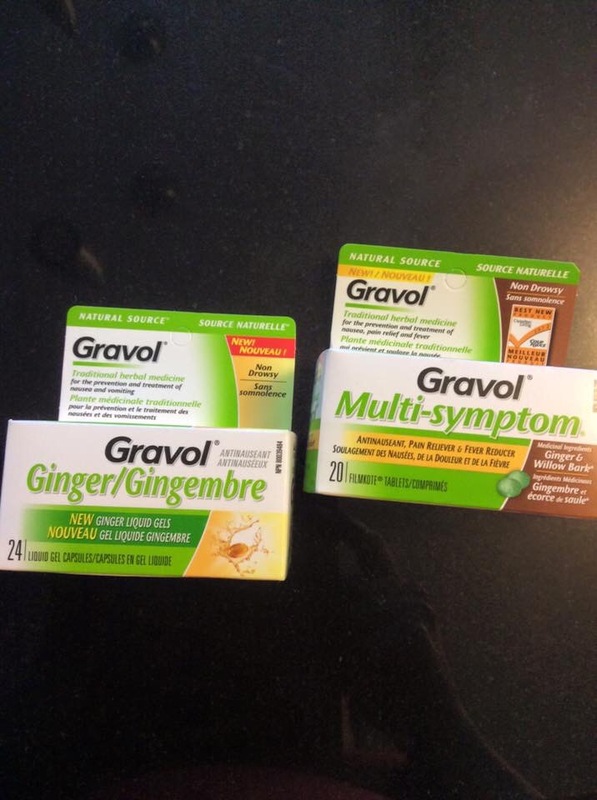 Gravol™ Ginger Liquid Gels are easy to swallow, non-drowsy and will help prevent any motion sickness on long car rides – ensuring you are ready to explore! To this day, my daughter can not go on long car rides without taking her Gravol™, it’s the only way she can travel. What a relief (for me) for my daughter; it actually took me a few car rides for me to realize that [at the time] my little girl couldn’t handle the car rides… can you picture my girl, as a toddler, and always having to hold on to a bag during every car ride? Say it with me: ugh and ick! Have you been in the same situation? My daughter is now 18 but I still give her Gravol™ and I always tuck a pack of it in her bag when she travels with or without me. If you push yourself to enjoy the outdoors and possibly go for a long hike, don’t be put off by the aches and pains that may accompany you after your hike. It is only natural to be a bit sore after hibernating all winter. Try Rub A535™ Extra Strength to ease those aches and pains. It works quite well and it’s quick action will release you from those horrible aches in no time at all! Trust me, you don’t just want to lay down after all that movement; oh no, you want to rub that Rub A535™ into those tired muscles. Our family takes it along on our vacations too … I’ve used it after a long hike in the bamboo forest on Maui; thank God I had it with me! The unofficial start of summer and family hikes also mean short season is upon us, [Eeek!] which can be a bit daunting after bundling up in heavy sweaters and thick pants for six months. Seriously ladies, do you even shave in the winter? I don’t; for me it’s total bliss. Fortunately or unfortunately; you be the judge, there comes a time when you have to face the fact that it’s time to rid your body of hair … at least only in certain parts. 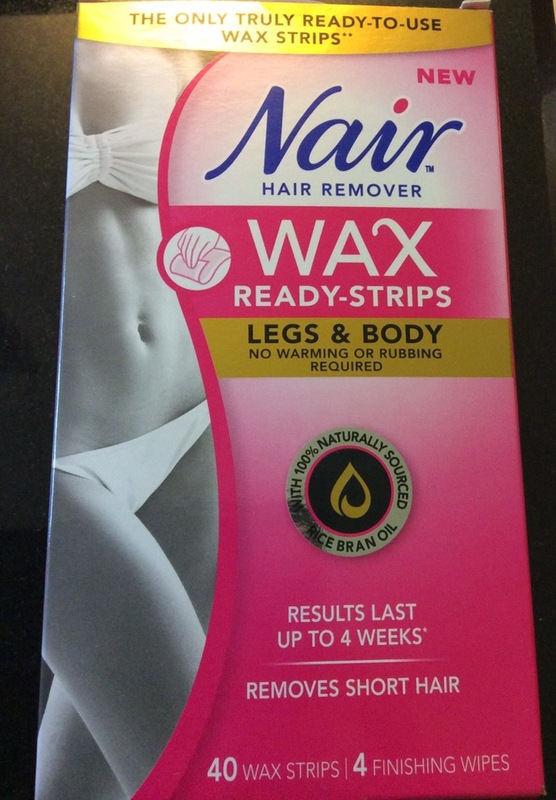 Try using Nair™ Wax READY-STRIPS before you put on that first pair of shorts. These ready to use strips are simple and convenient, just place and peel! How easy is that?! You can even take them along with you when you travel! Easy, quick, clean, and it even has the to-go edge too. Most importantly they will leave your legs looking smooth and summer ready! What are you and your family planning on doing now that you can get out there and enjoy the sunshine?! I was just like your daughter for years I was sick every time I got in the car. Besides the Gravol I eventually figured out that sitting in the front seat also stopped it!